Savoury porridge is happening…it’s everywhere. Young food trendsetters are filling their social media feeds with snaps of it, Heston Blumenthal serves it up as a starter. Don't knock it til you try it! If you bolster your creamy bowl of grains with lots of surprising toppings, it can pack a real punch for breakfast, lunch or even dinner (yes, dinner!). 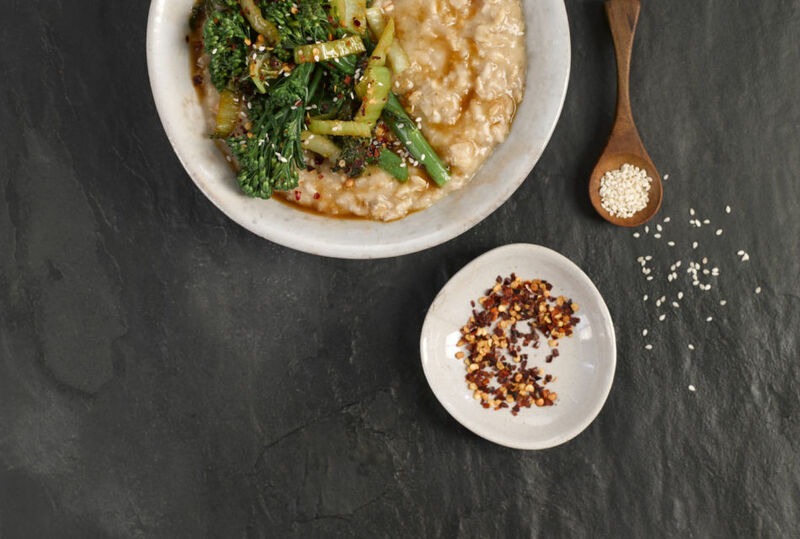 It can be served like a risotto, or congee style with ginger, garlic. & soy sauce like our recipe above. And as the days draw in, what better way to pay homage to the humble oat than celebrating World Porridge Day on October 10th 2018. Cosy, creamy porridge but without the sweet toppings? It sounds wrong but fans of porridge for dinner say it's no different to using rice. Texturally it has that same nibbly nuttiness as brown rice, and the distinction between sweet and savoury versions of rice don’t cause any outrage. It might sound weird but trust us, it works!